Fourth-year Outfielder Nick Krska is off and running. While some Whittier College students kicked off their Spring Break by going to the beach to enjoy the California sun, the Whittier College Baseball team enjoyed their week off in Oregon. The team looked to climb to the top of the Southern California Intercollegiate Athletic Conference (SCIAC) standing through a series of exhibition games against George Fox University, Willamette University, and Pacific University on March 20 – 23. At George Fox University, the Poets fell short, losing 5 – 7. They later played Willamette University, where they picked up their first win, leaving the diamond 8 – 6, away from home. For their final weekend, the team had a four-game series against Pacific University, where the Poets won three out of the four games. The opening series was a double header, and the Poets won both games with a score of 4 – 3. The second game victory came off an error in the twelfth inning as the Poets capitalized off of Pacific’s Shortstop error, allowing first-year Outfielder Dane Goodman to come in for the go-ahead run. Goodman had a rough start on his time, running on the bags after starting off the inning getting struck by the pitch. The Poets then rested up to prepare for another double header against the Boxers of Pacific University. The Boxers put a stinger against the purple and gold as the Poets fell in the series opener, 10 – 2. A bounce back during the final game in the series looked bright for the Poets, when they won 12 – 7. In all, Poet Baseball took the series 3 – 1 against the hosts, Pacific University. 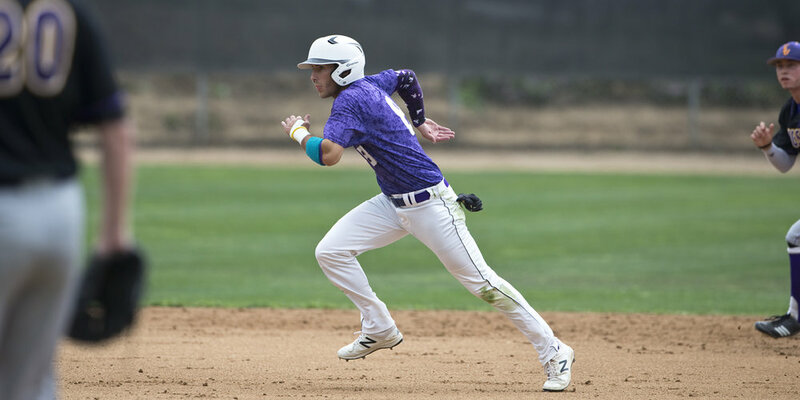 Poet Baseball will resume to SCIAC league play on March 29, where they will visit Claremont Mudd Scripps, and they will return home the following day on March 30, as the Poets play host the Claremont Mudd Scripps in a two game home stand.